For all you folks who have been patiently waiting for us to get a Houston date – well, here it is! 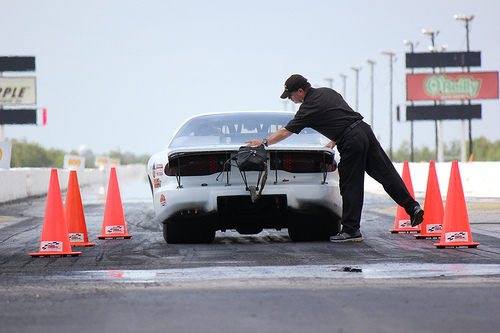 We’ll be at Royal Purple Raceway in Houston, TX conducting our popular Super Comp/Super Gas class on April 16-17, 2014. The two-day Licensing Class allows drivers of all backgrounds the opportunity to earn their NHRA competition driver’s license in the sch ool’s 572/720R Chevrolet-powered Super Comp Dragsters or Super Gas Firebirds. Some drivers even obtain both licenses during the class. Current drivers can bring their own car to the course, too. The course also includes Hawley’s Personal Performance Development lectures. The school will be heading to Wild Horse Pass Motorsports Park in Phoenix, AZ at the end of February; back to Auto Plus Raceway in Gainesville, FL for class after the Gatornationals; to Auto Club Dragway in Fontana, CA for both the Super Comp & Super Gas class AND the new Dragster Adventure and Dragster Adventure Challenge; to Royal Purple Raceway and then to Gateway Motorsports Park in St. Louis, MO. To view our Super Class video or obtain more information on all available classes, dates and locations for Frank Hawley’s Drag Racing School, visit the school’s website – www.frankhawley.com – or call 866-480-7223 (Outside U.S. 678-804-8835). Like us on Facebook, and follow us on Twitter @Frankhawleydrs and YouTube!